Henrikh Mkhitaryan has revealed how he felt after making his long-awaited return from injury for the Arsenal Under-23s last night (via Arsenal.com). 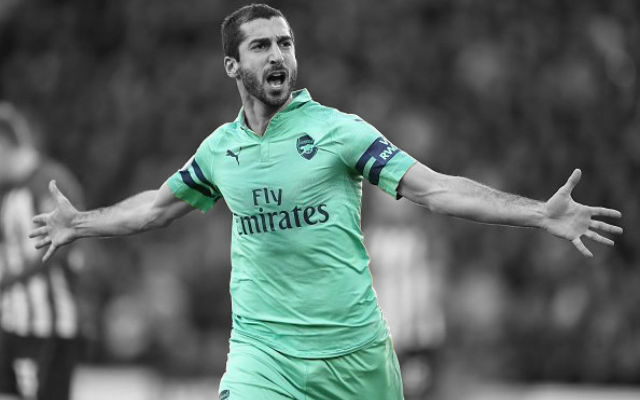 A lot of the focus has been on the long-term layoffs but Arsenal have had some good news on the injury front with the return of Henrikh Mkhitaryan. The Armenian hasn’t played since picking up an ankle injury during Arsenal’s 2-0 defeat to Tottenham Hotspur in the Carabao Cup back in December. He returned to full training last week and now, Mkhitaryan has revealed how he felt on his matchday comeback for the Under-23s last night. “I’m thankful to everyone who has been working with me. To the medical staff, to the fitness coach and everyone, even to my team-mates. They were supporting me every day. The match itself was actually abandoned due to poor visibility but it’s good to see that Henrikh Mkhitaryan is back in action. The Armenian international can be a hugely useful player and Arsenal are certainly lacking in his position right now.